Daktronics has been designing and producing innovative electronic signage since 1968. Twenty years ago, we took a chance with digital billboards, holding the belief it would be the next big thing for out of home advertising. We’ve been the industry’s leading digital billboard manufacturer ever since. 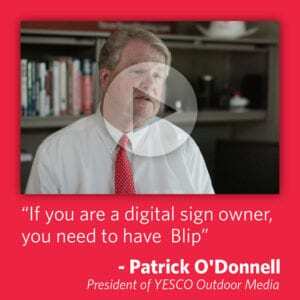 Whether you’re purchasing a digital billboard for the first time or consider yourself a digital expert, choosing your supplier should not be taken lightly. Image Quality for Life: We pride ourselves on creating a product that not only has the best image quality on day one, but one that maintains its image quality, uniformity and brightness throughout the life of the product. Lowest Cost of Installation: Our dedicated project manager will work with your installation team to have a smooth installation from start to finish. Our products are designed to install quickly without unexpected costs. Remote Diagnostics: We offer remote diagnostics to identify and fix problems down to the pixel level before they happen while checking your display 2,400 times per day. Venus Control Suite: Optimized for our OOH clients, this solution is easy to use, can be accessed from anywhere and features our propriety advertising sales grid. Daktronics has a dedicated OOH team that will work with you every step of the way, from legislative assistance, product selection, project management, customer service and professional services. We will help you get started in your business and provide a support network that will help you achieve your business goals. This is a partnership. Daktronics is a large company, the world’s leader in designing and manufacturing display systems, but we started from humble beginnings and grew to this position because we are grounded in our values. Helpful. Humble. Honest. 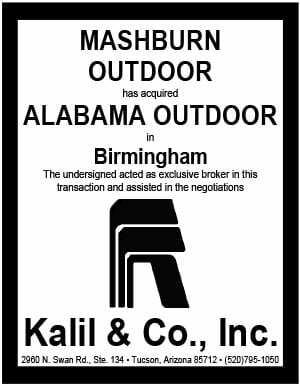 Daktronics is one of the only publically traded manufactures in the industry, you will always know our position.